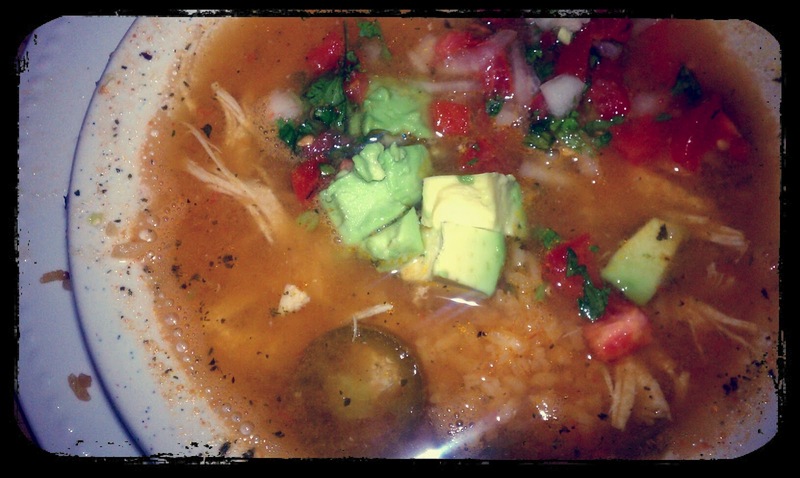 Nothing says Happy Valentine's Day like my favorite chicken soup from my favorite Mexican restaurant. Mr. Broome was working in New Jersey for Valentine's Day. I enjoyed the evening studying and doing dinner with my mom. Andy spent the evening in the hotel restaurant with cheese sticks and the bartender. I'd say we missed each other a little. We are making up for the separation Saturday with a date night in ATL. Mr. Broome says my Valentine gift was the J.Crew Minni pants I purchased last week. Ignore that mess in the background. Mornings are not meant for making the bed. These pants are bright bluish/purple. I am completely in like with the colored pants trend. I sent this picture to Mr. Broome to say "look at my Valentine pants." His response was "You're cute!" Sounds like a telephonic conversational heart to me. Mr. Broome is home now of course enabling my sleep routine to resume without waking up in silent fear that something is under our bed or outside the window. When will I ever grow up? It's the weekend, finally. I never thought it would come. Have a good one!